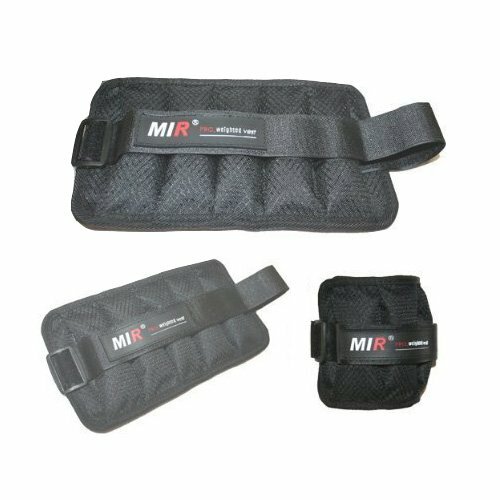 Mir ankle/wrist weights are comfortable as can be. With the 5lbs of weights, you can add this item when you walk, run, do cardio or any warm-up. With the padded cushion, it ensure comfort while you can have a intensive workout. Add resistance where it is hard to add weights on and perfect fit. Ankle and wrist are a key essential in your life. With a healthy ankle and wrist you can reassure your self with better health. You always need to exercise you muscle, or it will go to waste. This is a simple and easy workout tool. Easy to put on and take off.